Following the Quake of '79, a terrible force came to the city of St. Charles. This was the Living Poison. In Lilac Chambers, it may have found the perfect host. As she finds herself changing, becoming increasingly dangerous to everyone around her, it becomes apparent that her state of being is no accident of nature. She is becoming a prime vehicle for the Living Poison's destructive swath through the streets of St. Charles. 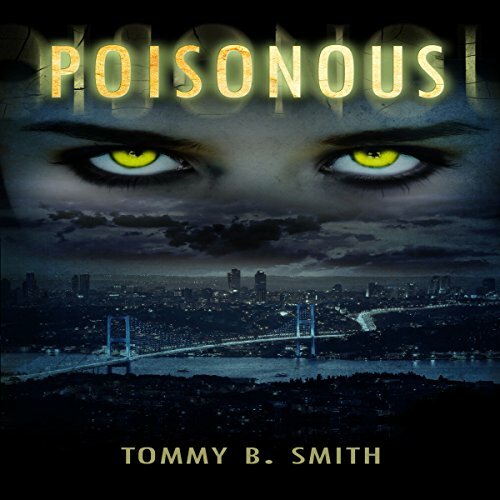 Detective Brandt McCullough has seen the Living Poison's brutality. John Sutterfield, ringmaster of Sutterfield's Circus of the Fantastic, is discovering its malignancy festering within the very circus he founded. These two are the only ones who might stand in the way of a force greater than anything they have ever known, one which threatens to wash the streets in red and swallow the city into chaos, but the stakes may be higher than either of them can imagine. St. Charles - indeed, the world - may tremble. Would you listen to Poisonous again? Why? What about Greg Brostrom’s performance did you like? "This audiobook was provided by the author, narrator, or publisher at no cost in exchange for an unbiased review courtesy of Audiobook Blast. I was provided this audiobook at no charge by the author, publisher and/or narrator in exchange for an unbiased review via AudiobookBlast dot com. Unfortunately I couldn't get through this book. Not because of the story itself, but because of the narration. It sounded like the narrator was at the end of a tunnel. Maybe I'll get a hard copy of this book and read it myself. I hate to think I'm missing out on a good book simply because of a crappy narration. It felt disconnected. I enjoy books that take on different stages or that use different perspectives, but this title just couldn't hold my attention.